Because WPF is able to scale your application based on the system DPI, you should avoid using bitmaps in your application. Instead, you should render all controls, e.g. buttons on a toolbar, with vector graphics so that they can be scaled larger/smaller and still look correct. The hardest part of this process will be finding vector-based graphical images to use in your application and then converting them to XAML so that you can use them in your WPF project. Mike Swanson has written a plug-in for Adobe Illustrator that allows exporting vector-based images to XAML (which you can then import directly into a WPF project). There’s also a good writeup explaining the process here. 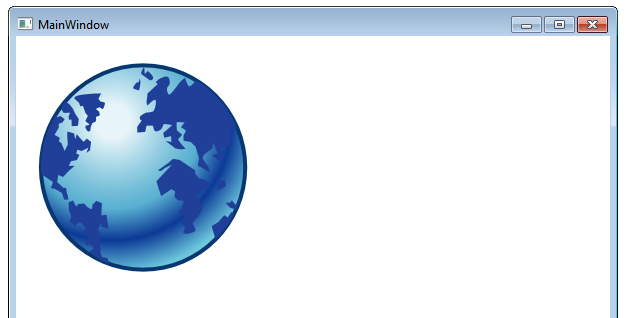 Here’s an example, showing an image of the Earth that scales when the application window scales.